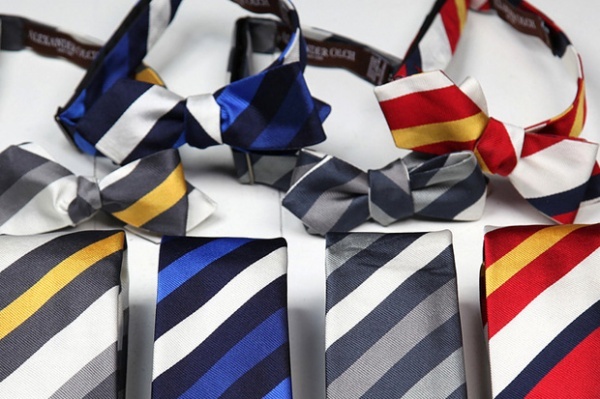 Alexander Olch and ACL share a lot of beliefs – a belief in finely made, quality goods, and to that extent, they’ve teamed up for this capsule collection of ties. A fine selection of repp ties made with vintage English silk, and finished in Olch’s Brooklyn factory, you can find the collection online now. This entry was posted in Accessories, Collections, Ties and tagged ACL, Alexander Olch, Olch Brooklyn, Source Hypebeast. Bookmark the permalink. Pingback: Alexander Olch for ACL & Co. Capsule Collection | Definitive Touch - Men's Contemporary Style.